Evil is a constant, not a concept, and Evil won't stop until Paul Logan is destroyed. 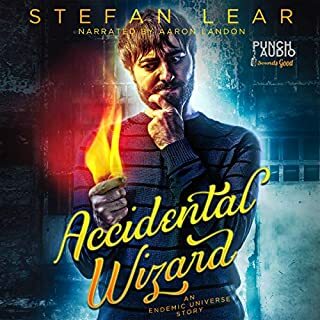 When his girlfriend is violently murdered by a hound of hell, Paul Logan discovers he can wield magic. Since then, not everything is what it seems. In fact, nothing is as it seems. With the help of a mentor, he struggles to learn about his new powers. But when the man who murdered his mother reappears, will he be able to control what happens next. ln a battle filled with blazing guns and formidable magic, Paul attempts to destroy the Evil that wants him dead. His life hinges on his success or failure. If you like M.D. Massey, Jim Butcher, or Shayne Silvers, then you’ll love this dark urban fantasy book. Grab your copy today! Fantastic ending to the series. I went into this series blind. The author is new to me and I didn't know anything about it, other that the fact it sounded interesting. I was surprised by how much I enjoyed this series and by how fresh the story stayed even as it used elements that are common to the genre. 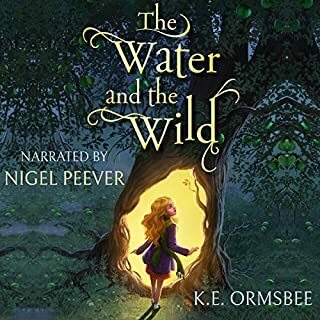 Listened to all 3 books on audible and narrator is great. Good voice, tone and inflection. She didn't just read the books, she infused the story and brought the characters to life. The author did a great job throughout the series of having an entirely unique plot and creating a very interesting book world. 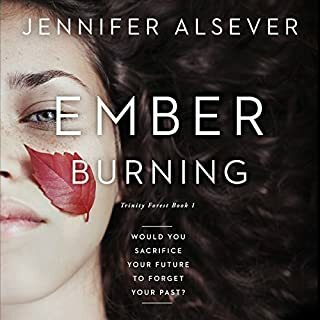 It is interesting to see how she ties Ember's mother into the story and how she wraps up every character's part in the book. Overall, this book answers all the questions I had from books 1 and 2; the author leaves us with a satisfying ending. The narrator did an outstanding job throughout the series. I really enjoyed listening to her in this book just as much as I did in the other books, if not more. She is a perfect match for the age group of all the main characters and did a great job on some of the older characters. She was able to bring this fascinating story to life. This was the third and final part in the Trinity Forest series! 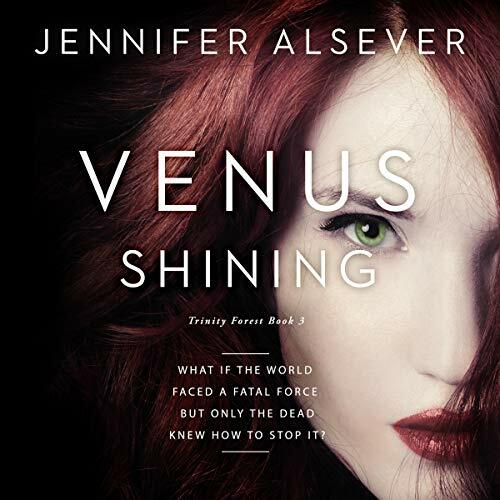 Jennifer Alsever doesnt disappoint us with a fantastic journey and battle! With the help of Moira Todd this story was truly brought to life! I would reccomend this whole series to all! This is the final showdown, the third book in the Trinity Forest trilogy, and it all ends here. One way or the other. Either Ember and her friends can stop the apocalypse, or Xintra wins. I enjoyed the story playing out the final way. I liked that we got a lot more answers, and got to understand how Ember's mom played into this. 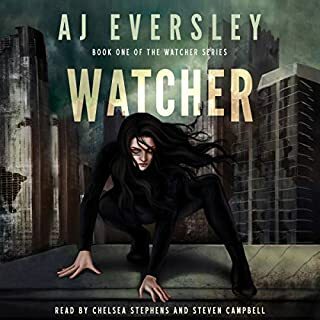 I liked the narrator's tone and voice, as in the previous two books, she was enjoyable to listen to and had great pacing. My only complaint is too much was going on. There were too many POV switches in the book, and the voices for each were not distinct enough. I often struggled with knowing who was narrating that section when I came back to it from a break in listening. I did enjoy that we had people waking from their, well essentially possession, and taking action to stop the big bad witch. Overall, a great series and a satisfying ending. 3,5 stars. I received this audio book for free in exchange for my honest review. Both the writing and narration are phenomenal in this excellent story. I'm sure that you will love it as much as I did. I just love this whole series!!! I really enjoyed this book, just as I've enjoyed the last two. In this book you will not only continue to see things that are going on through the eyes of our main charaters but also you will get a glimpse into the life of Ember's mom before she died and I really liked getting to see that. You know from the other books that she visited Trinity but that's it. These books are so full and well woven together and I struggle to not give things away in my reviews because they are so great to exspierence as a whole. I would highly recommend this series! 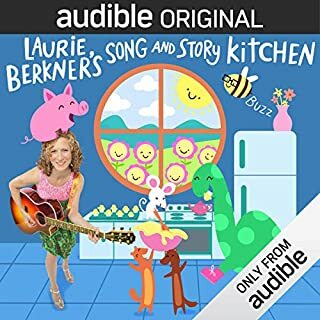 I did receive a free copy of this audiobook to be able to honestly review it. All thoughts and opinions are my own. I've listened to all of Jennifer Alsever's Trinity Forrest series, and this is my favorite of the three. The story line is more focused, and the pace drives nicely. No villains are true villains and no heroes are true heroes. Every character has demons and drives. I was very satisfied with how everything got wrapped up. My only complaint is that Ember doesn't sing in this book; I hope she hasn't lost her passion for music after coming back from Oshun. 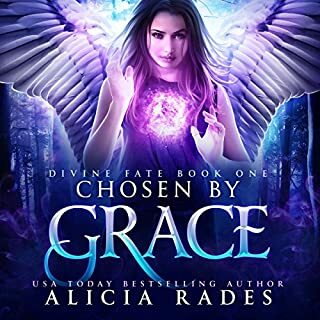 Would absolutely recommend for lovers of paranormal YA. these books keep getting better. very creative writing and the narration is great. I really enjoyed these books and would recommend them.